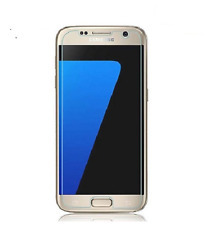 Family Line Samsung Galaxy S7. Samsung Galaxy S7. Storage Capacity 32GB. Type Smartphone. Network Verizon. Sim tray opener. Original Samsung Wall Adapter. Original Samsung USB Cable. Awesome phone. looks brand new! Was super easy to switch over from my old phone. It was my first time with an unlocked phone. It was easy and simple! Phone was as expected and like new. No scratches of any kind. Battery life is great.